The Schwaner Injury Law firm is excited to announce an annual scholarship for college students who are survivors of truck accidents and have survived and triumphed over their injuries to pursue a college education. As a firm who represents the seriously injured, we know how tough it can be to face a severe truck accident injury. Our goal is to provide tuition assistance to those who have suffered by making their college education more financially accessible. Our first annual scholarship will be awarded to one individual applicant in 2019. The total award for the scholarship will be $500. Must have received injuries from an accident involving a truck at some point in your life. Submit an essay no less than 800 words and no greater than 2000 words in 12pt font describing how you overcame your truck accident injury. Submit a copy of the police report. Submit a copy of your most current academic transcript. Submit other relevant accident and injury proof. Submit your application prior to June 1st, 2019. Our selection will be based on the strength of submitted application and also take into consideration how well the applicant has overcome the obstacles relative to a serious truck accident injury. If you would like to apply for the Truck Accident Injury Scholarship, please complete the form and submit the required documents in full. Please send all application documents by email to [email protected] before the deadline of June 1st, 2019. Please send all documents in .PDF or .DOC form. 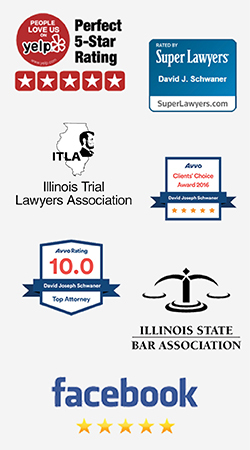 Why Choose Schwaner Injury Law? We Love our clients and they love us too. "Dave is a great personal injury attorney. When I was in private practice, I referred many cases to Dave, and everyone I referred was more than pleased. He is genuine and really does care about his clients' well-being. Add this to his skills as a trial attorney - I have seen him in front of a jury - and you have the complete package. How many attorneys would tell a potential client that the client could do just as well without an attorney? Most attorneys would just take their cut and run, but Dave did just that with a referral." "Working with David was a pleasure. From the first time I spoke to him I felt at ease with him as he seemed more concerned with my well-being before all. He was always keeping me updated on everything every step through the process and was always available for me if I had a question. David delivered more than expected for me in every way and I would recommend him to anyone. A real class act with your best interest at heart!" 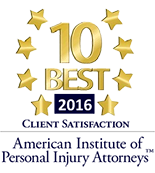 "I would highly recommend Attorney David Schwaner and Schwaner Injury Law, to anyone. Not only is David knowledgeable and a gifted attorney, he’s a very sympathetic individual who takes the time to get to know you and your situation. He makes sure to answer all your questions, return all your calls, and always has your best interest at heart. Really top notch attorney, and law firm."